General Motors' top executive in China and the president of fast-growing Beijing Automotive will speak at the Automotive News China Conference on April 20 in Shanghai. Kevin Wale has run GM's rapidly growing operations in the world's largest market since 2005. Under Wale, GM has taken advantage of China's big surge and is considering new plants in the country. GM's sales in China last year grew 29 percent to 2.35 million units. Wang Dazong, president of Beijing Automotive, has put the giant state-owned company into high gear since taking over in February 2008. Vehicle production increased from 680,000 in 2007 to 1.5 million in 2010, and the company introduced several new models. The theme of the Shanghai conference is "Coming of age in China: how global companies can prosper in China; how Chinese companies can go global." The event will coincide with the Shanghai auto show. Wale is based in Shanghai and is responsible for GM's operations in mainland China, Taiwan and Hong Kong. 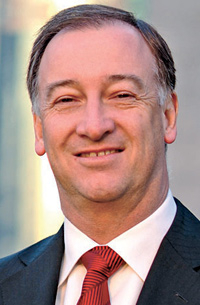 He previously ran GM's Vauxhall Motors in England and also headed GM Europe's commercial vehicle business. 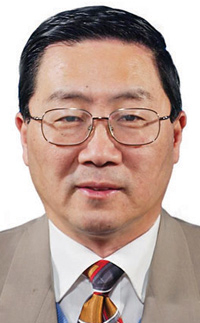 Prior to joining Beijing, Wang was in charge of engineering and key component operations at Shanghai Automotive Industry Corp. Before that he spent 20 years at General Motors in engineering and product-development jobs.